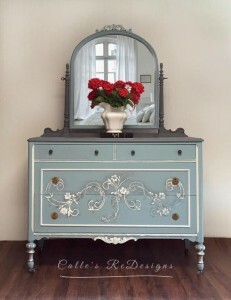 Calle’s ReDesign Furniture has discovered our Raised Plaster Stencils! 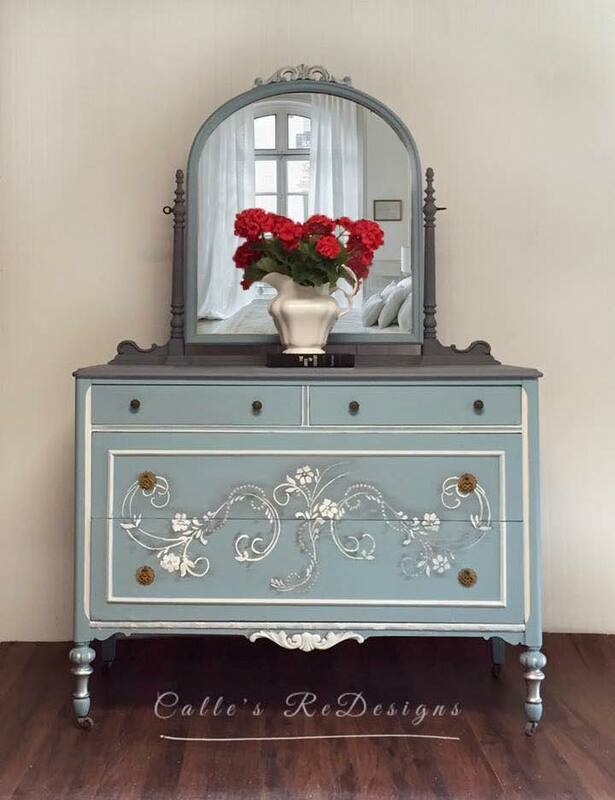 This gal is amazing when it comes to re-designing old furniture and giving it new life. The colors she uses, the placement of the designs and her awesome finishes make her pieces one of a kind. On this piece, she used our Raised Plaster Chantal Frieze Stencil on the front. She flipped and repeated it for a mirrored image (and to create a larger design) then used just a portion of the stencil design in the very center of the repeat. Visit her facebook page to see more!